I was honored and proud to attend the Inaugural Alpha Omega Alpha Induction Ceremony of the Hofstra North Shore-LIJ School of Medicine. This represents a milestone for the new medical school, which is set to graduate its first class next month. Alpha Omega Alpha, the national medical honor society, recognizes and advocates for excellence in the profession of medicine. The AOA inducts a few exceptional students in the junior year of studies and several more students in the senior year of studies. Overall, the top 25 percent of a medical school class is eligible for nomination to the society. Our values include honesty, honorable conduct, morality, virtue, unselfishness, ethical ideals, dedication to serving others, and leadership. Members have a compelling drive to do well and to advance the medical profession and exemplify the highest standards of professionalism. Because Hofstra’s grading format is Pass/Fail, they only induct students in the senior year. I was inducted in my junior year at the Albany Medical College of Union University, and I still fondly remember that event. It’s a very special thing to have your accomplishments recognized by your superiors, so I wanted to make sure I was there to welcome the new members and kick off the medical school’s first ceremony in proper fashion. In attendance was Lawrence Smith, MD, founding dean of the medical school, as well as several senior medical school and faculty, all AOA members. We met in the faculty club at the medical school where we celebrated with an enjoyable dinner and formal awards presentation. Congratulations to the Inaugural Inductees of the Hofstra North Shore-LIJ School of Medicine: Alexander Blood, Matthew Katz, Reshmi Madankumar, Jonathan Mallen, Christine Scelfo, Bin Yang. Also, congratulations to the distinguished professionals who were presented with honorary memberships: Meade Barlow, MD, and William Rennie, MD. 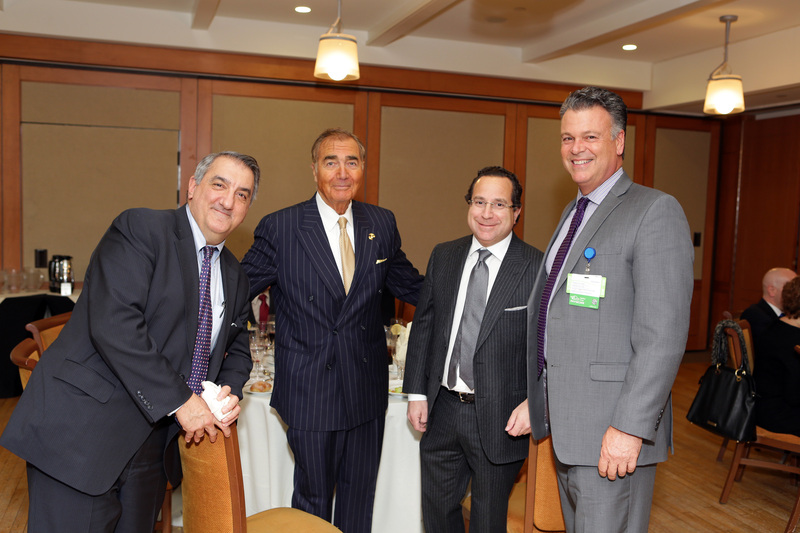 Photo: Tom Mauri, MD, Robert Waldbaum, MD, Randall Feingold, MD and David Battinelli, MD, Chief Medical Officer of the Hofstra North Shore-LIJ School of Medicine.